Sign this open letter to Tom Cotton to teach him what the American people really want: Peace! Sign this open letter to Tom Cotton! Senator Tom Cotton wrote a horrific open letter to the leaders of Iran, trying to sabotage the delicate nuclear talks. It's time for Tom Cotton to hear from us! Sign this open letter to Tom Cotton to teach him what the American people really want: Peace! This week marks the anniversary of the war in Iraq that left that nation in shambles, and cost Americans over a trillion dollars and thousands of lives. While the American public (and the country of Iraq) continue to pay the price,Tom Cotton’s friends in the defense industry got a whole lot richer. Just 24 hours after his notorious letter to Iran became public, Cotton was the guest of honor at an event hosted by the National Defense Industrial Association, a lobbying and professional group for defense contractors. It’s no wonder he’s pushing for an end to the negotiations! 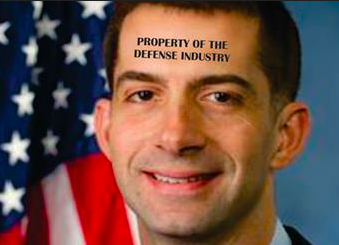 But Senator Cotton’s not just in bed with the defense industry. During his Senate campaign he received $700,000 from the Emergency Committee for Israel!Not surprisingly, his war mongering about Iran mirrors that of Israeli Prime Minister Netanyahu, who was recently in Washington pressuring Congress to tighten sanctions on Iran instead of pursuing negotiations. Unfortunately, Netanyahu was just reelected for another term, so our peace activism is more necessary now than ever. From Guantanamo to Iran, food stamps to women's rights, we can come up with at least ten reasons why Tom Cotton is a dangerous dude. 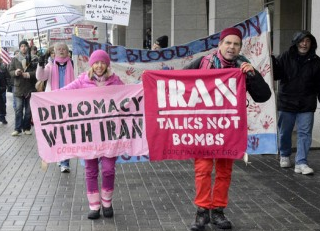 While he is lecturing the Iranians about the US Constitution, let's school him on Peace 101.